Hello! Today I have a very exciting post for you. Hayley over at Danglefoot Nail Polish has started a new monthly polish series. Each month she is going to collaborate with a blogger/swatcher to create a limited duo inspired by TV series Once Upon A Time. 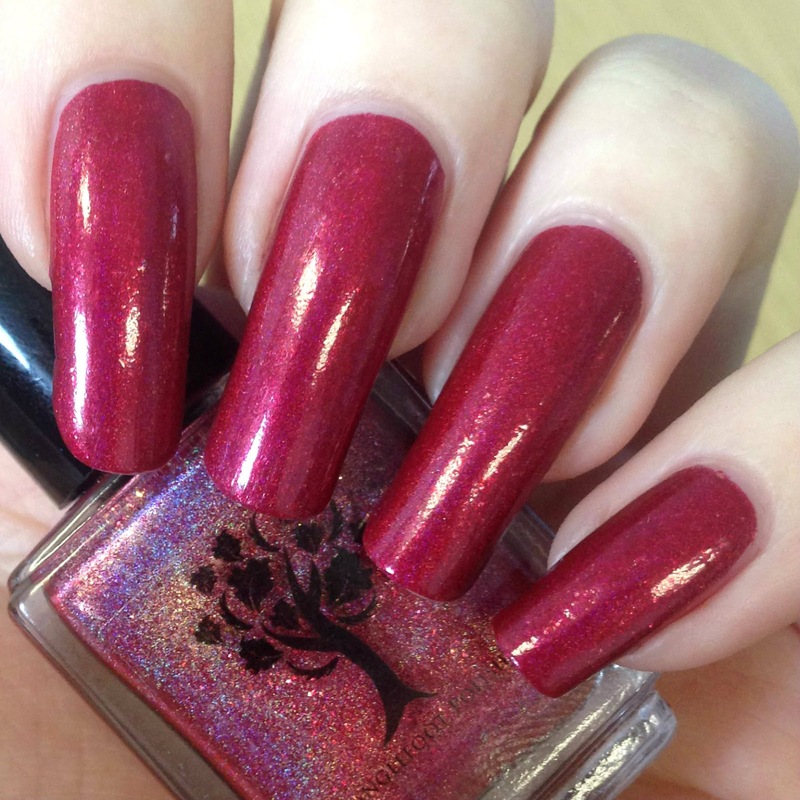 This months is based on Emma Swan and Captain Hook, and was created with Kirsty from FairyTales Nails. Read on for swatches and more info! Before I start, I love Once Upon A Time! I was a bit late to the game, and was on season four when I started all over again with my boyfriend. In case someone else is like me and isn't caught up, I won't include any spoilers! 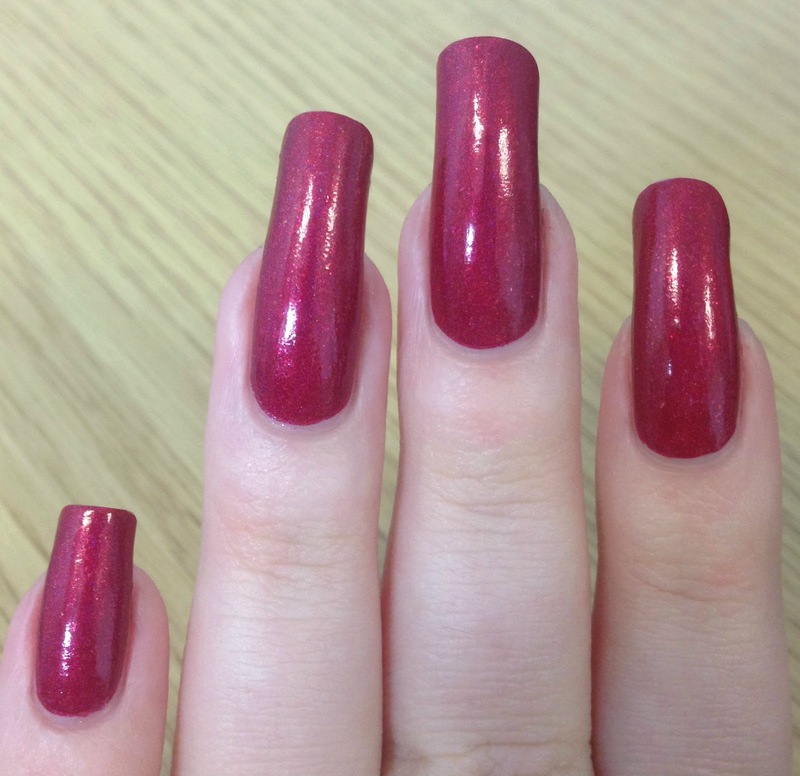 'Swan', inspired by Emma Swan's signature red jacket, is a red holographic with gold flakes. The formula on this was perfect - it was smooth and easy to apply and a definite one coater. This looks amazing on the nail, even better than I had expected. Below is just one coat and topcoat. 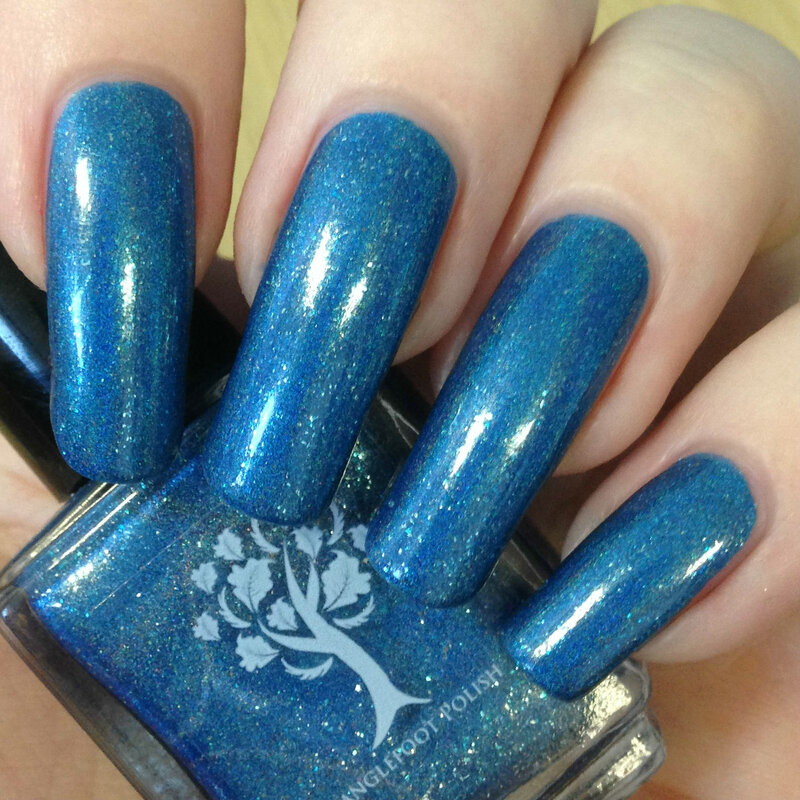 'Hook', inspired by Captain Hook's bright blue eyes, is a linear blue holographic with silver flakes. This has a similar formula to 'Swan' and is almost opaque in one coat, although I did add a second. In a rush you could easily get away with one thicker coat. Again I was caught off guard with how good this looks! Below is two coats and topcoat. What do you think? I am completely in love with both of these! They are just perfect for Swan & Hook. If for whatever reason you missed this duo, you're in luck! 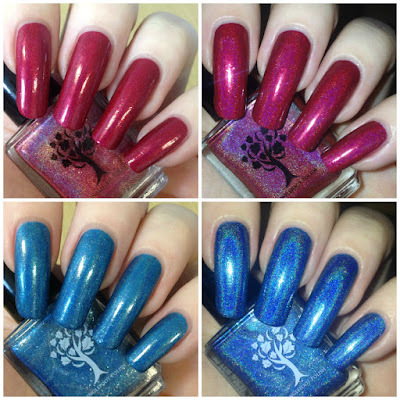 Just this once Hayley will be making a second batch, hopefully releasing alongside next months duo - which I believe is Snow & Charming in collaboration with Sailor Nails. 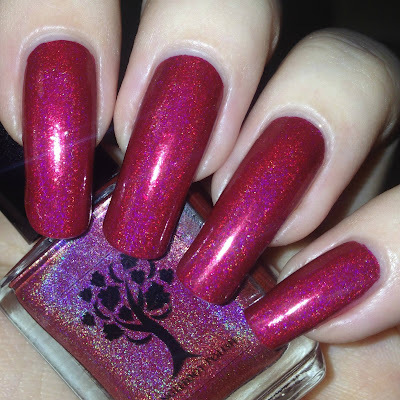 You can find Danglefoot polish on etsy here, and on Instagram here. Wow these colours are gorgeous. Seen them review before but they look so different on your gorgeous nails. I need to get my hands on them ... esp that blue! These are adorable!! Not heard of this brand before. Swan and Hook both with flash really bring out the beauty.. 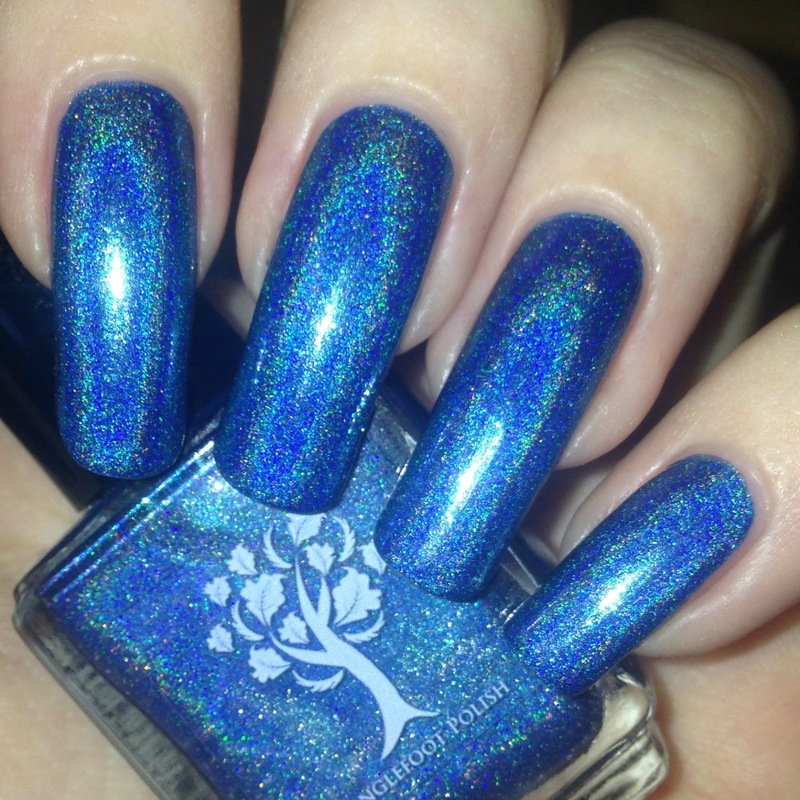 Wish I could get myself a bottle of Swan.. Beautiful swatches! Oh goodness! This duo is amazing! I prefer Swan over Hook but they're both gorgeous!